Dr Raheeq Ahmed Abbasi claimed that PAT’s October 19th “Inquilab Jalsa” at Minar-e-Pakistan would largest jalsa in the history of -Pakistan. 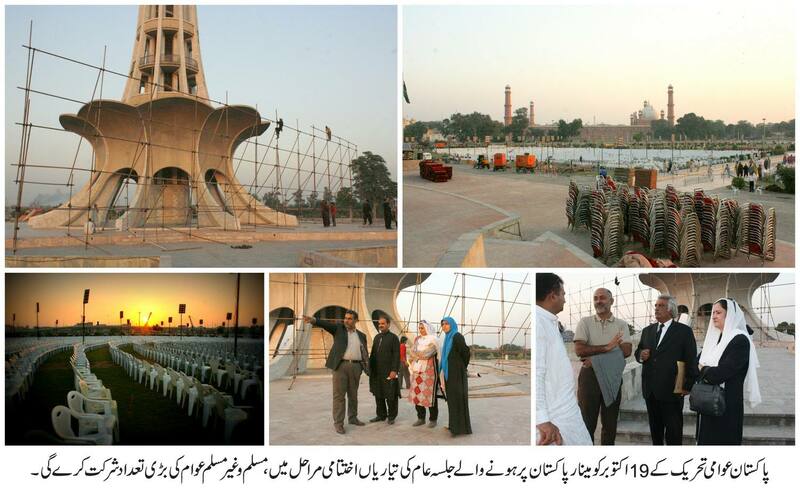 PAT planned to place 70,000 chairs while more than 100 committees and 2,000 organizers would oversee the arrangements. PAT leadership would never halt the process to prosecute those responsible for killing of its workers in Model Town incident. He said that inflated power bills were sent to consumers again this month and nothing was returned to the consumers despite the promise by Prime Minister, which showed it was a pack of lies. Raheeq said that the PAT sit-in would continue in Islamabad and its future strategy would be announced by Dr Tahir ul Qadri on October 19th.